"Findings from the Audit Oversight Board indicate that further effort is required to enhance the quality of auditing,” remarked Nik Mohd. Hasyudeen Yusoff, Executive Chairman of the AOB during the recent National Accounting Educators Symposium (NAES). “But how do you define quality? Understanding of quality differs between one client and another, and between firms,” he continued. Championing audit quality is a key task for the AOB. According to Nik, one reason the AOB exists is because every time anyone picks up the financial report of any corporate entity, they should feel confident about the quality of the auditor’s report. 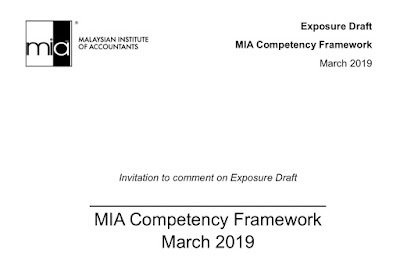 As part of initiatives to heighten audit quality, jurisdictions worldwide are taking action to tighten audit regulations; likewise, Malaysian law requires the AOB to ensure auditors comply with standards in arriving at their audit opinions. Meanwhile, the onus is also on the auditing profession to improve quality. “The auditing profession owns the auditing space, and should make it their mission to protect stakeholders who are dependent on the information contained in auditors’ reports,” said Nik. To help achieve its vision of enhancing audit quality, the AOB has been granted extensive powers. It has tools at its disposal to remedy breaches of professional practice, and can even impose fines of up to RM500,000 on errant firms. When inspecting a firm, the AOB takes many factors into consideration. One key factor is the tone from the top. Audit firms must constantly juggle between business profitability and audit quality. Profitability shouldn’t undermine quality. Enforcement of quality measures is another aspect – for example, what action has the firm under audit taken against an under performing partner? To remedy quality concerns, the AOB is coming up with the Remediation Framework, which encompasses nine points under serious consideration. These are: Firm Structure, Policy and Procedures; Audit Methodology; Training; Human Resources; Effectiveness of EQCR role; Communication; Monitoring Quality; Engagement Review Deficiencies; and Performance Measures for Remediation. So far firms are responding positively to the findings of the AOB and have provided the AOB with their plans to enhance audit quality. Some are seeing this as opportunities to manage their business risks and it is totally sensible for them to follow through with their remediation plans seriously.